MACOMB, IL -- Beginning with the first three-hole course on the front lawn of Sherman Hall and expanding to a nine-hole golf course to the west of campus in the 1940s, golf has been an integral part of Western Illinois University for nearly 80 years. The WIU men's golf team would become a nationally recognized golf team in the late 1950s and early 1960s, winning two NAIA National Championships in 1959 and 1962. These victories elevated interest in golf at Western, and the course became a focal point of learning, while serving a wide range of University and community needs. As space for academic buildings and residence halls became limited, the need to move the golf course was imminent. In 1972, a new nine-hole course, named after Western's first golf coach Oscar L. Champion, was built off campus on the bluff of the Lamoine River. In 2000, former Leatherneck golfer Eric Gleacher made a generous donation to expand the nine-hole course to a complete 18-hole championship facility. On July 6, 2001, the Harry Mussatto Golf Course opened to rave reviews. The rolling hills of the Lamoine River Valley once again proved to be the perfect setting for a golf course with scenic views and challenging golf shots. The expansion of the course was the perfect time for Western to add women's golf to its offerings of NCAA Division I sports. While the course has evolved and expanded over the years, the 1,600-square-foot clubhouse had remained a constant since it was built in 1972 and the structure was outdated. In comparison to the 18-hole championship golf course and practice facility, the former clubhouse was lacking in many ways, including a non-ADA compliant restroom, the absence of locker rooms or shower facilities for student-athletes and limited dining and customer social space. With the support of WIU alumni, faculty, staff, members and friends, the University built a new 3,360-square-foot clubhouse and learning center, aptly named the Arthur D. and Roselyn Chown Golf Learning Center. The new facility opened this summer. A dedication ceremony will be held at 2 p.m. Friday, Sept. 28 as part of WIU Homecoming weekend. Roselyn Chown, a 1956 WIU graduate, made the lead gift for the center to name WIU's new clubhouse at the Harry Mussatto Golf Course as the Chown Golf Learning Center in memory of her husband Arthur D. Chown. Art and Roselyn married July 1, 1956. 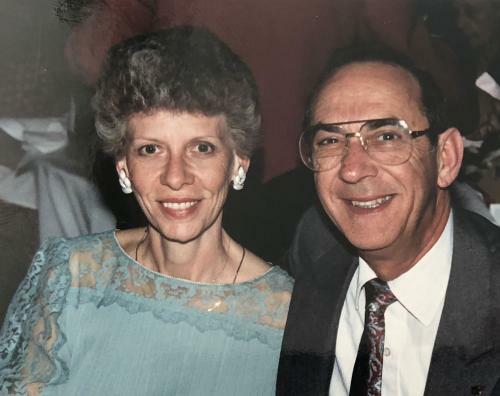 In 1965, Art was named internal auditor at Western, and was named as the WIU comptroller in 1966, and two years later, was named the University's business manager. Art was named acting vice president of business affairs at Western in 1974, and one year later, he was appointed as the first vice president for administrative services. He served as vice president until his retirement in 1991. A certified public accountant, Art earned his master's degree in accountancy from Western in 1972, and in 1991, he received the WIU Distinguished Alumni Award. "Having Art's name associated with the new clubhouse was important to me because of the great pride he had in the golf course. He enjoyed working at Western, and being in charge of the golf course," Roslyn said. "He was so proud of his two holes-in-one on the number three hole at Mussatto, and golf was a family activity - all three of our children played and enjoyed the game, and Art and I enjoyed playing golf together." The new Arthur D. and Roselyn Chown Golf Learning Center includes the addition of locker room space for the Leatherneck men's and women's golf programs; two private offices for golf coaches and course management; a 900-square-foot all-purpose room doubling as a dining and lounging area during operational months (March-November) and an indoor practice area during off-season (December-February); a large outdoor patio; the expansion from a single restroom to four separate ADA compliant restrooms for men and women; and a full service golf pro shop. "Art and Roselyn were avid golfers and supportive of the Harry Mussatto Golf Course, which is why this gift is so fitting and will serve as a lasting tribute," said Brad Bainter, vice president for advancement and public services. According to Lia Lukkarinen, women's head golf coach and director of WIU Golf, the Harry Mussatto Golf Course has long provided educational, recreational and competitive opportunities, and the Chown Golf Learning Center puts the "icing on the cake at already one of the premier university golf facilities in the Midwest." "Art and Roselyn have meant so much to Western Illinois University, and to name the facility in their honor is so fitting," Lukkarinen added. "The flexibility of the building provides the opportunity to host local, regional and national events, in addition to being an indoor practice facility during the winter months. It really completes the experience for the destination golfer and provides increased opportunities for growing the game of golf." 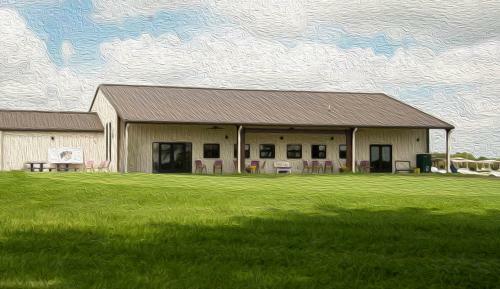 For more information about the Chown Golf Learning Center and the WIU Harry Mussatto Golf Course, visit wiu.edu/golf, call (309) 298-3676 or email LB-Lukkarinen@wiu.edu.